What is a Louisiana Month to Month Lease Agreement? Louisiana Month to Month Lease Agreement: What Is It? 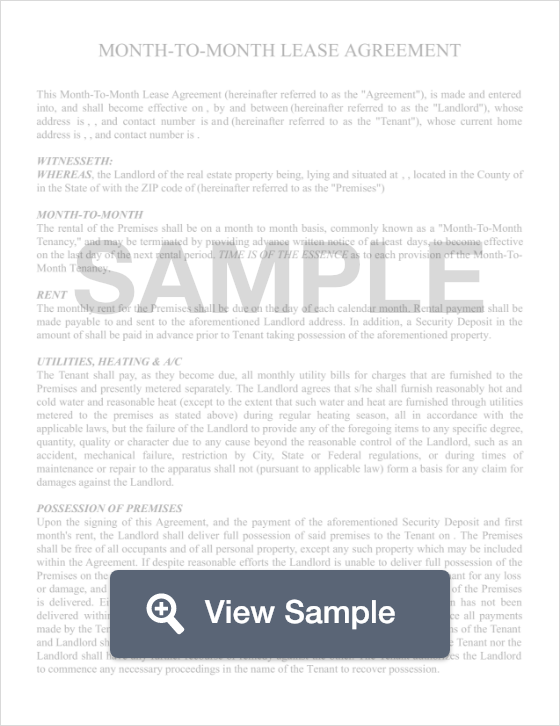 In Louisiana, a month to month lease agreement is a document that landlords use to officiate the agreement between themselves and a tenant. These contracts are legally binding and although they only require a commitment of one month, they renew automatically at the beginning of each month and will continue to do so if not canceled by either party. A month to month lease agreement protects both the landlord and the tenant by laying out the terms of the agreement and reminded each party of what they agreed to. According to the Louisiana State Legislature, tenants involved in a month to month lease must give at least a ten (10) day notice before the end of the month that the lease is being terminated. It is important to note that the notice is specified as ten calendar days, and not ten business days.